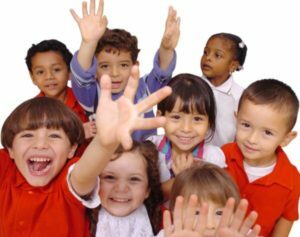 Language enrichment is necessary if you want to get different types of opportunities such as career opportunities, passing oral tests to get into an educational organization etc. To achieve this, however, you will need to join a training program and we will discuss the program here. A student will be able to enrich the language with the help of their teachers. The course emphasizes both communication and writing to meet the requirements of government and private organizations. Teaching is carried out with hands-on projects aimed to improve the language of the students. For language enrichment, it is important to join a certificate course in language enrichment where experts guide the students on developing the speech and vocabulary. The program is taught by following different types of methods and we will discuss them here. These methods are developed through extensive research and analysis and mostly deal with the improvement techniques in students. One of the most acclaimed methods of language enrichment is directing the students to use their tongues in different ways while communicating. This is done essentially to improve the communication of the students. As the students learn pronunciations, many of their speech disorders get cured. Secondly, speech problems are caused either from the childhood period or for the lack of training. Teachers use audio recordings to cure this as speech improvement is required to crack interviews or to talk to people. While taking up the course the teachers take scientific approaches in enriching the language. These can be found in the certificate course in language enrichment which includes the development of grammar and vocabulary. Thirdly, when a student develops the ability to speak and write the preferred language, she gets one step further in getting good opportunities. The students undergoing the course are assessed by the teachers to identify the areas which they need to improve and these include mock interviews and write up sessions under the supervision of the teachers. Fourthly, in the certificate course in language enrichment, the teachers conduct group discussions where the students talk on some given topics. This helps them to strengthen their speech, vocabulary, and cognition effectively. In the procedure, they are also able to identify where they are lacking and this eventually helps them in overall improvement and leads to achieving lots of opportunities. Nowadays, people are signing up for language enrichment courses as competition in terms of career, academics etc have surged extensively. The writing and verbal skills are put to test as a lot of things are dependent on these skills. However, with encouragement and motivation students are able to enrich their languages and for this, however, they need to join a good institute. To get opportunities one needs to be smart. They need to know how to correct their body language; postures etc. while they are communicating. On the other hand, when they need to write, they have to follow certain rules so that the writing turns out to be more elegant. When they join the course, the teachers provide extensive training on these subjects. In today’s competitive market skilled candidates are required. However, language enrichment is seen as an added skill so that human interactions lead to more productivity in workplaces. The upside to the dynamic market that we now have is that a lot of new areas are emerging in the field of career, academics, research etc where skills in language are important and for this, a certificate course in language enrichment from a training institution is necessary. An enriched language is an asset for the whole life.